What has been Lean’s contribution to business and society over the last 35 years? Has it been great or small? And for whom? 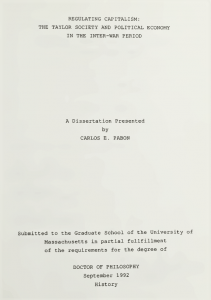 I recently read a fabulously informative and beautifully written 1992 doctoral dissertation by Carlos E. Pabon, titled: “Regulating Capitalism: The Taylor Society and Political Economy in the Interwar Period” (258 pages) that helps answer these three important questions. His dissertation should be of great interest to anyone involved with Lean management and who wants to learn about the early work that helped lead to TPS, and subsequently its derivative, Lean management. 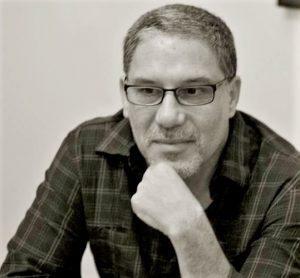 In Professor Pabon’s dissertation, you will learn the big questions and the grand visions that the creators and promoters of Scientific Management pursued, and the micro- and macro-economic, social, and political influence that they were able to achieve. You will learn how both the nature and level of engineering, science, and policy discourse then vastly exceeds the banal business discourse about Lean today. You will also learn how Scientific Management evolved and made its way into progressive Federal policies. Then, compare that to the much smaller questions and far narrower vision pursued by Lean’s creators (James Womack and Daniel Jones) — or, more accurately, the economic, social, and political influence that Lean movement leaders did not try to achieve — which reveals a failure to build upon past learnings to fulfill the needs of society. It is, convincingly, a failure of leadership. The difference is remarkable. It illustrates how the negation of past cumulative learning has negatively impacted Lean knowledge, strategy, and outcomes today. It also vividly makes a clear contrast between advancing Scientific Management for social good versus advancing Lean management for the purpose of monetizing it. Dissertation cover page. Click on image to download .pdf file. It is impossible to say for sure, but it seems that Lean management is far along in its life cycle. Its influence to-date seems very large, but it has actually been very small compared to the influence that Scientific Management had in its first 35 years of existence. However, Lean may in fact be late in its life cycle. If that is true, then its contributions can be summed up as having influenced industry to some degree — mainly through Lean tools such as value stream maps, A3 reports, gemba walks, and coaching — but having no significant national or global influence on laborers, labor unions, business leaders, society, politicians, and other government policymakers. Lean came into existence at an opportune time in relation to the interests of business leaders. The Lean movement’s limited, conservative agenda supported the goal of wealth creation for owners and investors, but fell far short of satisfying the interests of society in terms of wages to labor, purchasing power, and prosperity for working families.